FuseFX, Inc., a Los Angeles based visual effects company, continued it’s pattern of steady growth and moved to new larger offices in Burbank. 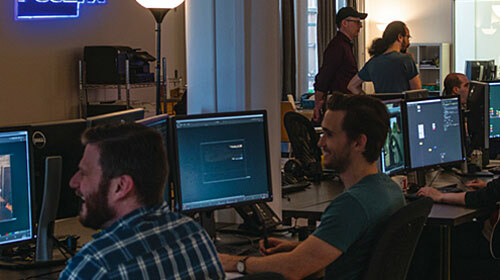 The company is emerging as one of the key players in VFX for television production, as well as ongoing work on small feature film productions. FuseFX now consistently has anywhere from 10 to 15 active television shows in production at any one time, as well as various commercials and small feature film projects. FuseFX clients consider the company the “best-kept secret” in the visual effects community, according to its original founder, David Altenau. The company does very little active marketing and relies on the relationships established by its principal partners with various studios and productions. As of February 2011, FuseFX has about 20 permanent employees with 5 to 10 contract employees working as needed, for a total staff of around 25 people. Regarding the move to new offices, “We’ve managed to continue to keep the core clients that we’ve worked with for years, all the while adding new productions over the last couple of years. Our old offices just didn’t provide the room we needed for expansion or the type of creative space we really felt was conducive to the type of work we are doing.” said Altenau. The new location is at 2316 West Victory Boulevard in Burbank. “It’s exciting to have our own building and a creative environment to bring clients,” says Tim Jacobsen, co-founder, and executive producer. “Our new building has enabled us to build an infrastructure that is easily expandable,” notes Jason Fotter, co-founder and VFX Supervisor.